Reap the rewards, and enjoy the benefits! Artbeats offers innovative royalty-free stock footage, plus the tools and inspiration to help take your projects to a higher level. Our extensive library encompasses thousands of NTSC, PAL, HD and Hi-Res RED clips in a variety of subjects. Our latest releases include ultra slow motion footage, gyro-stabilized city aerials, energy and environmental issues, cloud fly-thru's and lifestyles. In addition, we provide our customers with free video tutorials, tips & tricks, free footage downloads, creative samples and more. "Artbeats is much more than a source for high quality stock footage. We've garnered some of the biggest names in the industry to provide our customers with creative tools to help them boost production values," said Phil Bates, president of Artbeats. Visit Artbeats to to put these valuable footage tools to work today. About Artbeats Royalty-Free Stock Footage Artbeats leads the industry with innovative, professional Royalty-Free Stock footage. We are constantly working to make things easier by providing you with high production value footage that's difficult or expensive to shoot yourself. You’ll find thousands of clips in a variety of subjects, including gyrostabilized aerials, special effects, pyrotechnics, international locations, and more, in resolutions up to 4K. Visit artbeats.com to search our vast library. You can also check out our latest demo reels at: artbeats.com/demoreels Free Research Let Artbeats do the work for you. We'll take the time to research footage for your next project, so you don't have to. Send us your request and we'll supply you with your own personal clip bin containing clips from our library. Artbeats, a stock footage industry leader known for innovative footage including aerials, effects and driving plates, is announcing a new value-add program: The Weekly Free Clip. Starting today, customers who make purchases of $199 or higher will receive a second clip—that week’s free clip, chosen by the Artbeats staff--at no extra charge. “We’ve chosen the most popular, highest selling clips for this promotion,” said Phil Bates, Artbeats CEO. 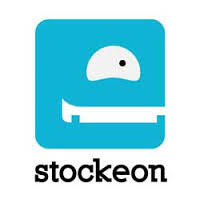 “We’re excited to share our best footage as a reward to those who purchase from us regularly. Also, we’ve made selections for the whole year, so we anticipate this being a long-term program” During each week in 2014 the Artbeats website will display that week’s free clip. The free footage will feature a variety of subjects including aerials of Washington, DC, the Capitol Building and the Pentagon, plus their most recent aerials of New York City, the Statue of Liberty, Downtown LA, as well as time-lapse flowers, monster waves and dramatic forest fires. A limited number of Drive Plates ($899 retail value) will be included as well. “The shots will be primarily HD 1080p format, with the occasional 4K clip thrown in,” continued Bates. “We’ve made every effort to present footage that is generic enough to be relevant to a wide variety of productions”. DaVinci Resolve is the world’s highest performance on set, editing and color correction solution for Mac OS X, Windows and Linux computers. DaVinci Resolve 10 is a major upgrade that includes new features for integrating the workflows of multiple different software products used in the film and television industry. DaVinci Resolve 10 has upgraded on set tools, upgraded editing features, support for OpenFX plug ins as well as new tools for delivering final project masters to cinemas. Blackmagic Pocket Cinema Camera is a beautifully designed, pocket sized digital cinema camera that includes powerful features, such as Super 16mm sized 1080HD sensor, super wide 13 stops of dynamic range, built in SD card recorder for Apple ProRes and lossless compressed CinemaDNG RAW capture and active Micro Four Thirds lens mount. 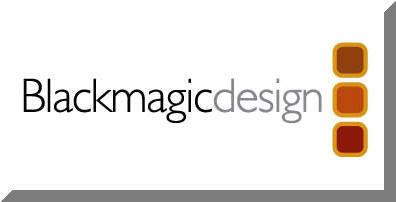 Blackmagic Production Camera 4K is a new high resolution 4K digital film camera with an innovative large Super 35 size sensor, wide 12 stops of dynamic range, professional global shutter, precision EF mount optics and which captures 4K in compressed CinemaDNG RAW and ProRes 422 (HQ) using the built in high speed SSD recorder. Blackmagic Cinema Camera includes powerful features, such as super wide 13 stops of dynamic range, high resolution 2.5K sensor, built in high bandwidth SSD recorder, open file format support for CinemaDNG RAW, ProRes and DNxHD files, as well as compatibility with quality EF or Passive Micro Four Thirds lenses. Boris FX - Boris FX is the leading developer of creative tools for editing, visual effects, motion graphics, and post-production. Its flagship product, Boris Continuum Complete, is the world’s largest VFX plug-in collection featuring 230+ filters and 3000+ presets. Highlights include: image restoration & beauty work, 3D objects, titles & particle effects, glows & film looks, keying, and transitions. Supported hosts: Adobe After Effects and Premiere, Apple Final Cut Pro, Avid Media Composer, Blackmagic DaVinci Resolve, Sony Vegas Pro, and more. 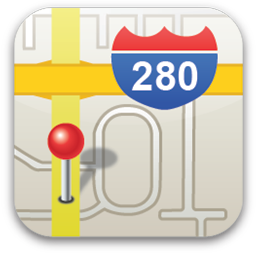 Founded in 1995 and headquartered in Boston, MA, USA. Make it in post. Imagineer Systems - Imagineer Systems is the Academy Award winning developer of mocha: Planar Tracking based visual effects solutions for film and video post-production. Imagineer has made its mark on major feature films including: Birdman, Gone Girl, The Hobbit, and the Harry Potter series. Features include: powerful planar tracking, advanced roto & masking tools, automatic object removal, 3D camera solver, and screen inserts. mocha Pro is the world’s most robust tool for solving difficult visual effects challenges. Headquartered in Guilford, UK. DamageV2- Damage is a collection of four effects plug-ins designed for post production professionals who want to create an extensive variety of digital and/or analog defects/errors in your footage. VIP’s save 40% on all Focal Press books and receive free shipping for US orders over $35.00. Focal Press has been a leading publisher of Media Technology books for 75 years. We publish high quality books filled with practical hands-on information, dealing with cutting-edge and converging technologies in many areas including: film and digital video production, photography, digital imaging, graphics, animation and gaming, broadcast and media distribution technologies, audio and music technology, mass communications, and theatre technology. VIP's get a discount of 40% off all Focal Press books and shipping within the US is free! The code is MEET4. GenArts is the maker of Sapphire, the essential visual effects suite for broadcast, advertising, and film. Since 1996, GenArts has been committed to delivering the highest quality visual effects software so video creators can bring stories to life and watch them soar. Our goal is to empower storytellers with the art and science of visual effects, to inspire creativity, and increase audience engagement. GenArts has decided to discontinue Sapphire Edge. "As we continue our commitment to create the highest quality visual effects software, we are focusing our efforts on making Sapphire, our flagship plugin suite, a more accessible product that will meet the evolving demands of post production. [So,] effective today, Sapphire Edge is no longer available for purchase and support for Sapphire Edge will stop after December 31, 2014"
G-Technology offers premium external storage solutions for content creators. Our complete portfolio delivers unmatched performance, reliability and style designed for Mac or PC users. With our ever-expanding offerings, you choose which storage solution is best for you — whether you’re capturing footage or data, transferring it, editing it, or sharing it. From general storage for music to high-performance solutions for intensive video editing — we’ve got you covered! lynda.com is an online education company that helps anyone learn software, technology, creative and business skills to achieve personal and professional goals. 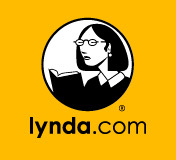 Through individual, corporate, academic and government subscriptions, more than four million people have access to the lynda.com video library of engaging, top-quality courses taught by recognized industry experts and filmed at the company's 12-acre, state-of-the-art campus in Carpinteria, California. 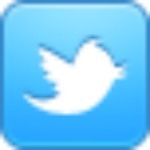 The company also provides German-, French- and Spanish-language content under the video2brain brand name. Founded in 1995 and incorporated in 1997, lynda.com is led by co-founders Lynda Weinman and Bruce Heavin and president and CEO Eric Robison. Learn more about the lynda.com story at www.lynda.com/press and on Facebook at www.facebook.com/lynda. 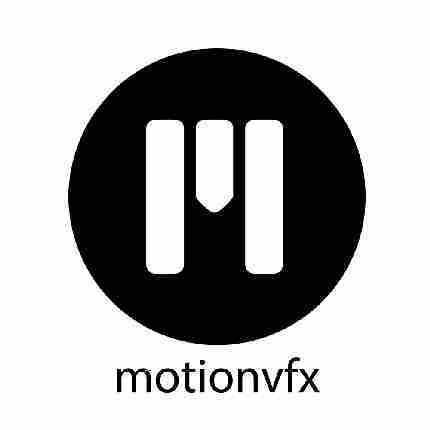 Full HD Templates for Apple Motion, Final Cut Pro, Adobe After Effects and Maxon Cinema 4D motionVFX is an innovative world leader creating ready-to-use, Royalty-Free and fully customizable Templates for both Apple Motion and Adobe After Effects. The library contains stunning, full HD (1920x1080) material. All templates can be customized. 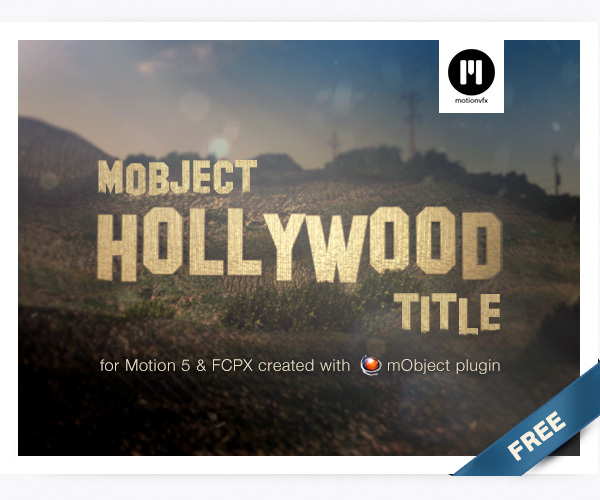 Motion templates can be used not only with Apple's Motion 3 & 4 but with Final Cut Pro as well. "Their amazing library is the biggest and the best on the market." 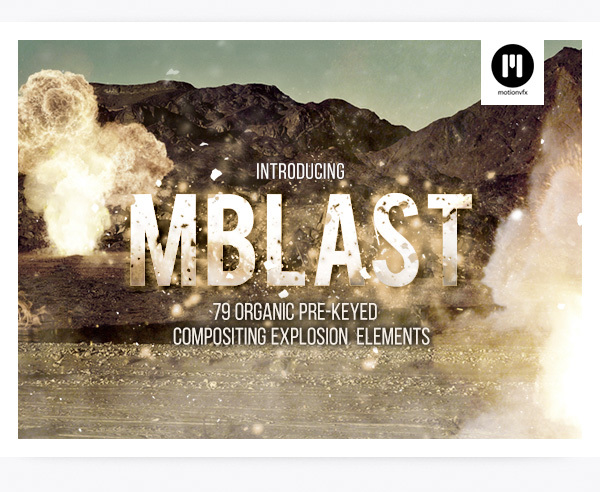 Introducing mBlast - a set of 79 organic pre-keyed compositing explosion elements in 2K or 4K that can be used within any compositing or non-linear editing system of your choosing. Whenever you need a little blast or a huge explosion in your shot, mBlast comes in very handy. This amazing collection was shot using Red Epic camera in 120fps. All files are pre-keyed, so we hope you'll have a lot of fun using your favorite compositing software to create stunning shots. Music 2 Hues Announces New "Track of the Week" Series. 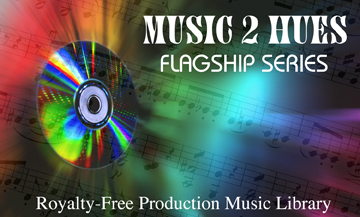 Music 2 Hues, a leading supplier of Production Music & Sound Effects to the Film, Video, Animation, & Multimedia Industries has just announced a new royalty free music product series promotion. Andy Wells, Creative Director of Music 2 Hues says, our new "Track of the Week" series promotion is designed to help clients get a brand new royalty free music track at a low price point every week. Starting on October 20th, every Sunday we will offer a brand new previously unreleased royalty-free music track for just $9.95. These tracks are not part of any existing current title in our library, they are all brand new compositions that have been composed specifically for this promotion. This promotion will end on December 29th, 2013. In addition, our new updated Music Download Center offers the ability to purchase individual tracks from all of our current Flagship Series titles, or entire CD categories with just one click in either Mp3 or Wav file formats. For just one price, clients will get all the edited versions of any one music track, including the full length theme, and any 30 and 60 seconds versions when available. New production music will be added monthly. Music 2 Hues is a leading supplier of Production Music & Sound Effects to the Pro Sound, Film, Video & Multimedia Industries. Offering over 2500 instant online downloads in both Mp3 and WAV file formats in our new Music Download Center, as well as over 100 Flagship Series audio CD's, our music lines cover numerous genres for the video or multimedia editor. Download single tracks or whole CD/Categories instantly. Please visit our website for more information as we release new products on a monthly basis. NewBlueFX is the maker of over 280 visual effects plugins. Our extensive library of creative effects, transitions, and powerful titling and color tools, make it easy to tackle your everyday challenges efficiently and effectively. All of our products are Mac and PC compatible, integrating seamlessly with the industry's best non-linear editors, including Adobe Premiere Pro, Apple Final Cut Pro, Avid Media Composer, Sony Vegas Pro, and Grass Valley EDIUS." Peachpit Creative Pro Publishing Group is home to the world's leading books, videos, digital products, and authors specializing in design, graphics, photography, digital video, and web design/development. Our award-winning products feature step-by-step explanations, time-saving techniques, savvy insider tips, and expert advice for computer users of all sorts, including key titles on video and audio programs such as Adobe Premiere, Audition and After Effects, Final Cut Pro, and Apple iMovie. Peachpit is the home of the internationally recognized Visual QuickStart Guide and Classroom in a Book series, the design imprint New Riders and its highly popular Voices That Matter series, and is the publishing partner for Adobe, The National Association of Photoshop Professionals (NAPP), Apple, and others. VIP’s save 35% off the list price on all Peachpit products with coupon code UE-23AA-PEUF (case-sensitive). Pond5 and Adobe have released the first official version of the Pond5 Premiere Pro plugin, available for CS6 and Creative Cloud. Now you can browse Pond5’s massive video and audio library, edit and add effects, and purchase only the content you want — all without ever leaving Premiere Pro. media easily and quickly using the new Collections feature. VMI- Local service and support for all your video and audio needs. ddunrud@vmivideo.com or call him at 916 369-6911.